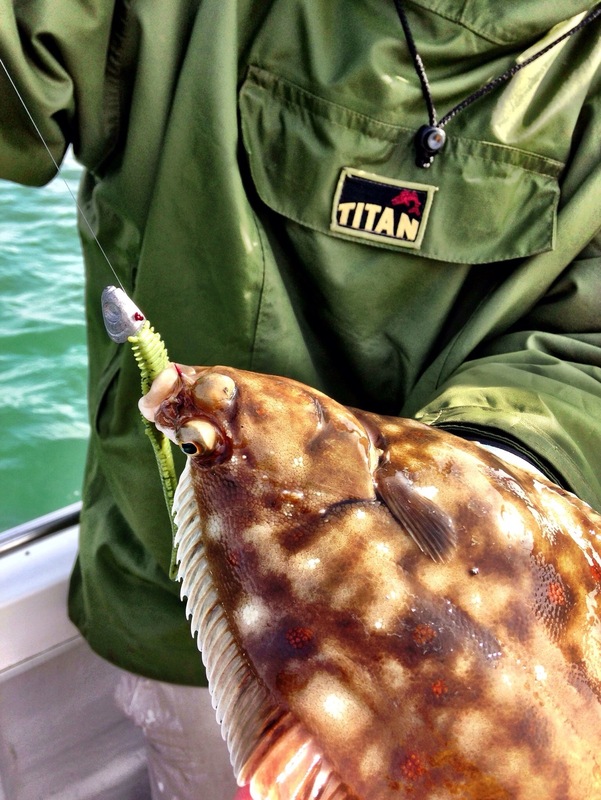 Plaice dominate the local boat fishing at this time of year and traditionally herald the start of spring. Of course this year has been slightly different, what with winter out-staying its welcome. But rather surprisingly, the Plaice have been showing in very good numbers out of Southsea and Hayling Island beaches when the weather has actually allowed boats to get out. With some good numbers of fish being caught at some old traditional venues that have been poor for several years. The bonus being these marks are right on my sea-door-step and very lure friendly, so when the weather obliged last weekend we got old Drifter afloat and set about finding some fish. With last year's lure caught Plaice in mind we looked to work our day around the tide to get maximum time with the plastics while drifting, but a lovely, if cold spring morning quickly turned windy and colder and forced us to drop the anchor rather than battle against the wind. This made me fish heavier than I would’ve liked but just about enabled me to fish 8g jigheads and an LRF setup with the idea being that it was going to be a tough day to get a lure caught Plaice. But if I did it, would be worthwhile for the sport if nothing else. A few hours past without a touch on any lures we offered and it was frankly hard going but eventually I started to get a few tentative touches on XL Isome that I was casting uptide and very slowly retrieving. 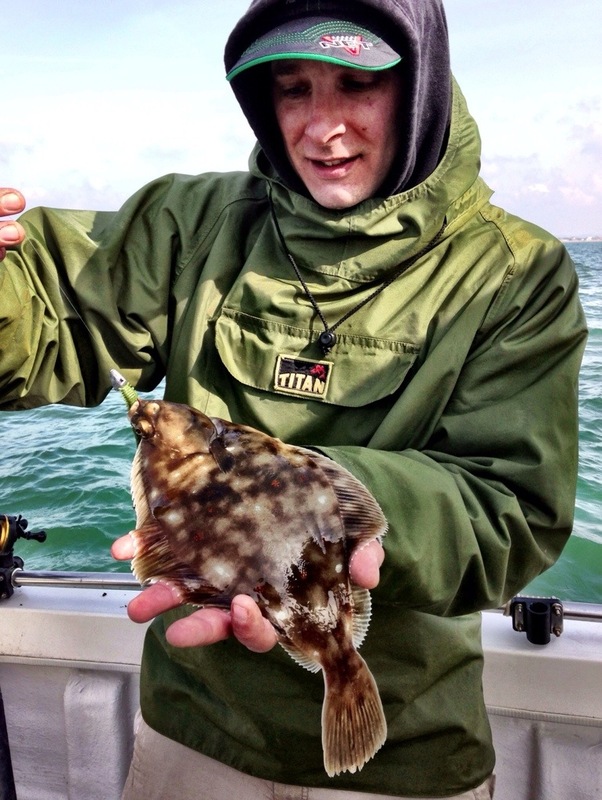 After a few lure and retrieve changes I switched back to the Isome and got my first fish of 2013, a small Plaice of around a pound that christened my new Tenryu Lunakia / Stella 1000 combo very nicely. Adam also picked up a Plaice, this time on a Reins plastic rigged on a jig head and fished tight to the bottom, we have found that Plaice will really attack when confident but it's having the patience to keep working the lure without frightening an interested fish away that’s the key. A nice start. What we hope is a productive season. 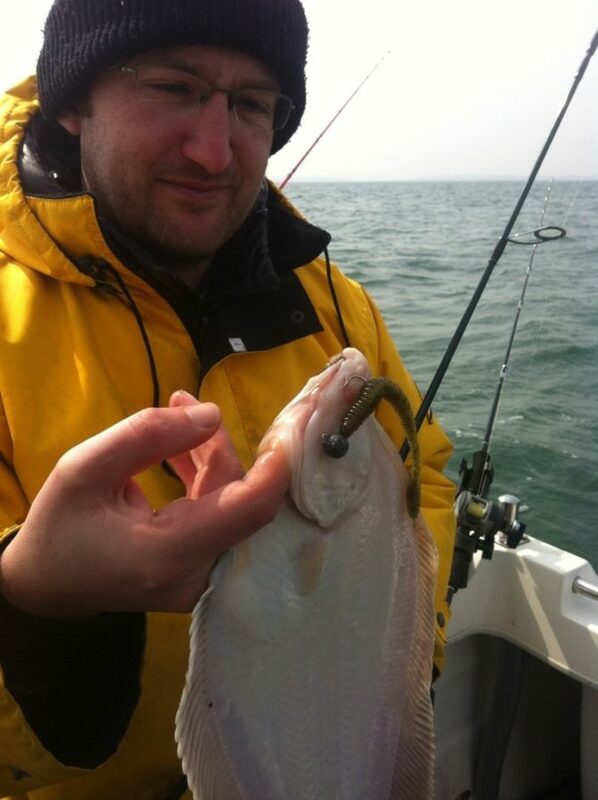 Plaice will continue to be the target for a month or so until the Bream and Wrasse take our attention.